Offered with a manufacturer backed 36 month warranty. Subscription charges for the Smartrack Protecter Pro are £149 per year inc vat. 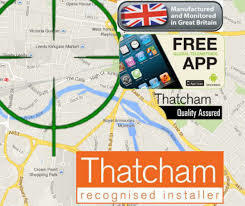 The Smartrack Protecter Pro is installed within your vehicle by our Smartrack Approved engineers who in turn are also governed by the Thatcham Recognised Installer Scheme, therefore ensuring a high quality of install. On completion of the installation our engineers will give you a full rundown of how the system works and answer any further questions you may have. You will not be required to have any involvement with the Smartrack Protecter Pro, the system lays active in your vehicle and relies upon the installed sensors to alert of any suspicious activity. Upon receiving any alerts from the Movement Sensor, Voltage Sensor or GPS and GSM Status, the Smartrack Protecter will evaluate these and send the appropriate alert to the 24 hour control centre who will in turn contact you to clarify the location and status of your vehicle. Smartrack DRST (Driver Recognition System) offers a perfect solution to the ever-growing crime of key theft and also help address the issue of key cloning well documented on many keyless vehicles. The DRST system can be added to any Smartrack product at the time of installation or upgrade to at later day should you choose to. The device uses radio transmit keycards. These Keycards are required to be carried by the driver on entering the vehicle. On starting the engine the tracking system and the keycards siliently aknowledge each other. Should the vehicle be moved without a keycard present then a signal is sent to the secure control centre who will instantly contact you to confirm the vehicles location. 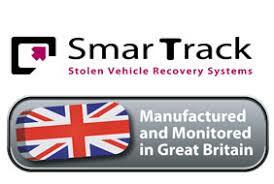 Vehicle Electrics & Security can install the Smartrack Protecter Pro across Kent. Areas include: Maidstone,Medway, Ashford, Sittingbourne, Gravesend, Tunbridge wells and more. The installation can take place at your home or work at a suitable time for you.